When the 2013 Tomb Raider was released I was sceptical, I bought it as I am long time Tomb Raider fan, but I found it to be too different to what I’m used to in a Tomb Raider game -- I was comparing it a lot to Uncharted. I couldn’t get into the story and it didn’t get my attention from the start. I stopped playing it and picked it up a year later and finished it off, it was a great story in the end but I found Rise of The Tomb Raider to be far better. I thought the writing and storytelling was a big improvement. Lara is following in the footsteps of her father in search of the Divine Source, an artefact that holds the key to immortality -- much like Nathan Drake's quest to find the Tree of Life in Uncharted 2. 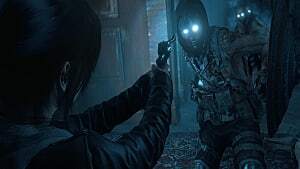 Lara is not the only one looking for this artefact however, as she has to deal with Trinity, a military group who want the Divine Source for their own gains. In this aspect, I do feel that there are similarities to Uncharted 2, the treasure hunter searching for the ancient artefact, a hostile military group also searching for it, and eventually stumbling on to an ancient lost city guarded by powerful undead citizens. This is where the similarities end though as Rise of The Tomb Raider brings in its own unique story, new characters as well as old, and really builds on them with more detail. 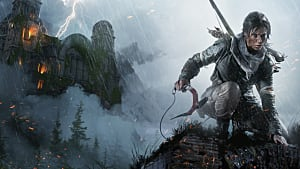 We see Lara having to fight her own conflicts, knowing that if she finds the Divine source it would prove her father right, completing the work he died for and restoring the Croft name. The other side of the conflict is Lara wanting to help the tribe who are protecting the Divine Source from being wiped out by Trinity, and stopping it from falling into their hands. 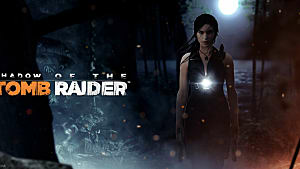 Crystal Dynamics have taken the gameplay mechanics from the 2013 Tomb Raider and improved upon them for Rise of The Tomb Raider. The control layout did take a little bit of getting used to, because they have ever so slightly changed it this time, but it is a more sensible layout. The controls are thankfully smooth and responsive. Other than that Rise of The Tomb Raider plays the same way as the previous one but things have been expanded upon. 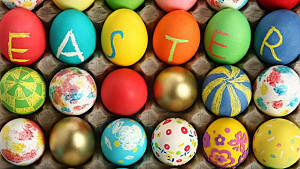 There are more challenges to complete, and more places to explore, they have added more optional tombs. Some Tombs you cannot enter until you have progressed and unlocked a certain piece of equipment or skill, which means you’re forced to revisit the area later -- it's not a bad thing. The reward for completing tombs is usually an advanced ancient skill to help you in combat, hunting, and crafting. For example being able to highlight and target the hearts of animals you are hunting, rather than something like a weapon part in the previous game. Optional side missions have also been included, these earn you extra rewards and experience, and some of these missions help your standing with the locals and even help with the end game as well. Hunting and crafting is also still in the game, and again this has been improved upon, especially the crafting. You can now craft most needed items on the fly, and some unlockable abilities allow finding crafting components to be easier. Lara can also be customised with outfits that you can unlock as your progress and complete various objectives. This game is stunning right from the start. Crystal Dynamics have created a very believable world that looks beautiful. From the Syrian desert, to the snowy mountains, through the geothermal valleys; Rise of The Tomb Raider pushes the limits. I remember the start of the game, walking on the snowy peaks knee deep in snow, while creating a path in the snow and the wind is blowing, setting a great atmosphere. 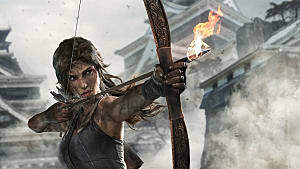 Character models have been improved upon since the 2013 Tomb Raider too, and Lara’s character model has changed in appearance as well; looking more realistic. Cutscenes look amazing, and when combined with an excellent soundtrack, realistic sound effects, amazing performance, and motion capture by the actors it really completes the experience. On the PC version DirectX 12 support was added to the game. It's is supposed to further improve the games looks (by making the game more optimised due to how DX12 works) and performance, however on my setup I found DX12 to be unstable and often caused my game to crash. This eventually got to the point where it became game breaking and I have had to switch it off. We also see the addition of two addition story DLCs, Blood Ties and Baba Yaga: The Temple of The Witch. In Blood Ties, you explore a neglected Croft Manor, with the death of her father and her mother missing Lara must find a way to prove that she is the rightful heir to the Croft estate, or risk losing it all to her Uncle and being evicted. This DLC as entirely narrative driven and has no combat or action in it, it is also quite short but gives a lot of insight into Lara’s past, her parents relationship, and how she came to be on her quest for immortality. There are also a few nods to the classic Tomb Raiders, especially Tomb Raider II, which fans of the classics will notice if they look hard enough. In Baba Yaga: The Temple of The Witch Lara decides to investigate an old Soviet mining facility and comes across a woman who is searching for her missing grandfather. 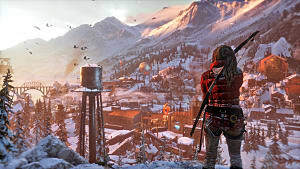 Lara agrees to help her locate him and enters the Wicked Vale, a location where the Soviet Military were trying to create a biological weapon. Upon entry Lara is exposed to pollen that causes hallucinations. It is this very pollen that the Soviets were trying to turn into a biological weapon. We also see Lara deal with her fathers death and are given more insight into her relationship with him. There are additional puzzles to complete with a paranormal twist, a house on chicken legs and a finale boss fight with Baba Yaga which provides a very good ending to this DLC, with some small rewards for completing it. So, should you play it? Rise of The Tomb Raider has lots of Replay value thanks to a great story, excellent graphics and gameplay mechanics, as well as plenty of places to explore beyond the main story. There's more, with extra story DLC, recently added zombie survival mode, endurance and co-op endurance mode as well as score attack multiplayer. 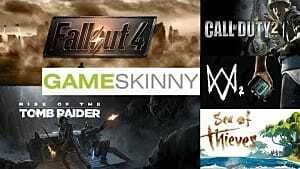 All of this means Rise of The Tomb Raider gives you plenty to do, and is well worth your time and money. If like me you didn't feel that the Tomb Raider reboot was good enough, I would strongly recommend giving this one a chance. 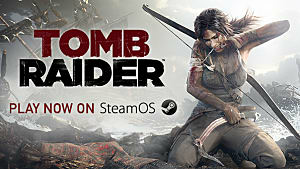 Tomb Raider 2013 Now On Linux - But is it too late?